Munk Pack Oatmeal Fruit Squeezes 4.2 oz. Mamma Chia Squeeze Vitality Snack 3.5 oz. Munk Pack Protein Cookie 2.96 oz. 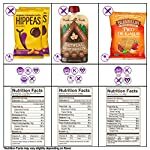 Hippeas Organic Chickpea Puffs 1 oz. Nature’s Bandits Organic Fruit & Veggie Stix 1 oz. The GFB Gluten Free, Protein Bars 2.05 oz. 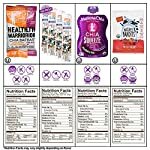 Health Warrior Chia Bars .88 oz. 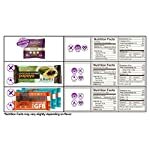 Keep Healthy Gluten-Free Chocolate Covered Fruit Bars 1.6 oz. 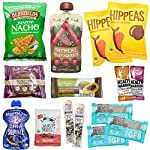 Do you struggle to find gluten free and dairy free snack options that are actually fulfilling? Something that will keep you satisfied, nourished, and energized? 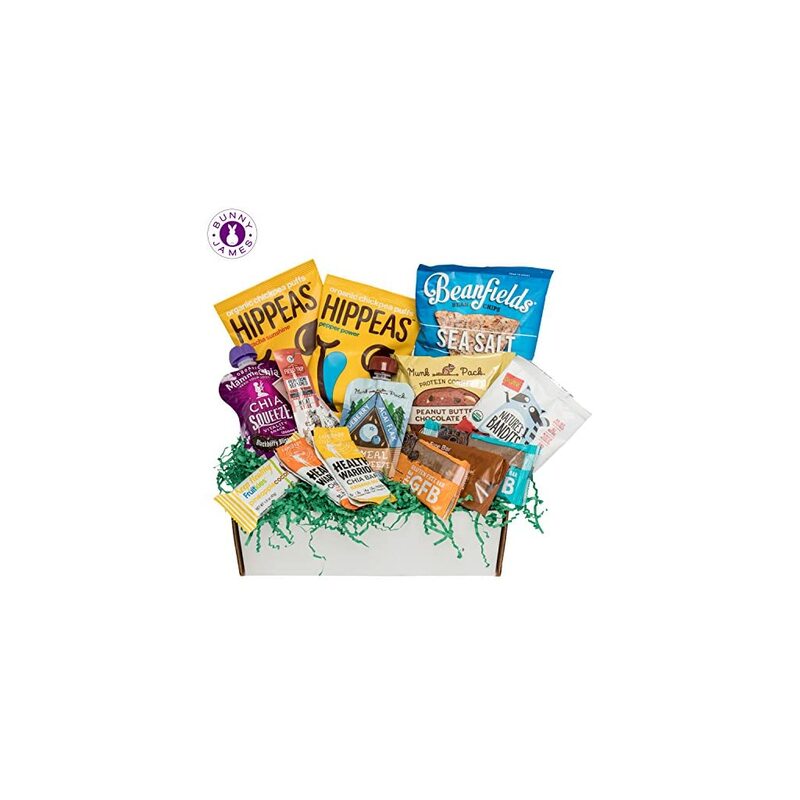 The Bunny James Gluten Free and Dairy Free variety box provides the perfect mix of protein, energy, and good fats to keep you energized and nourished throughout your daily routine with plenty of variety for every occasion when looking for a healthy gluten free and dairy free snack or meal replacement. This box includes High protein vegan oatmeal squeezes for a burst of energy at breakfast. Plant-based chia seed fruit squeezes for a protein kick during lunch. Savory chickpea puffs & bean and rice chips to satisfy salty cravings. Natural free-range jerky, varieties of vegan portable on-the-go high protein low sugar bars to fill in your hungry hours. We guarantee that you will find the best-certified gluten free, dairy free, high protein low sugar, high omega 3-6- and 9 enriched, superfood snacks! Do you have a child or loved one who is Gluten Free or Dairy Free or Both? Looking for the right healthy care package they will truly appreciate and love? This Box is the perfect gift for all. We created this box with the top trending items that gluten free and dairy free eaters are currently buying or looking for! It is also school friendly! ALLERGEN FRIENDLY HEALTH CARE PACKAGE: Perfect gluten free gifts for men, women, who are gluten or lactose intolerant. 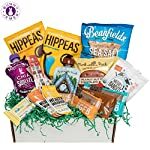 This Gluten Free Dairy Free healthy gift basket is guaranteed to bring joy and brighten the lucky recipient’s day. 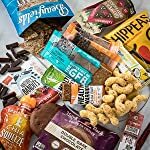 GLUTEN FREE SNACKS VARIETY PACK: This gift box is filled with grab & go GF & DF energy snacks and meal replacements – perfect way to sample and discover new trending healthy snack food products. ARTFULLY DECORATED: Each box is hand crafted and packed with care. Ornamented with grass, the gluten free and dairy free snacks gift box will arrive looking like a miniature garden with full of allergen friendly nutrition snacks. 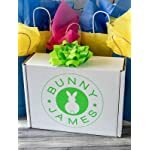 We also add a custom Bunny James Poem in each box! SHIPS FAST! When sending as a gift, be sure to select “Conceal Package” at checkout. To include personal note, select “gift” at checkout.